Hello! It's Release Day at Taylored Expressions which means that all of the new products you've seen over the past few days are now available in the TE Store! ACK! That is SO stinkin' CUTE! That has got to be one of my very favorite cards from this whole release! Kerri this is just gorgeous! 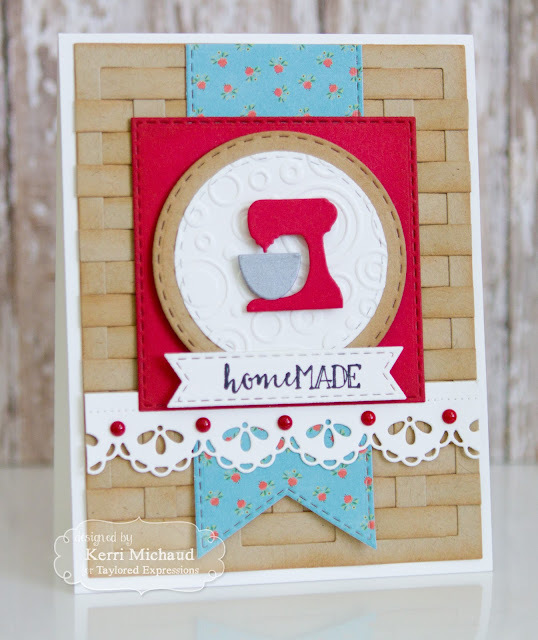 I am in awe of all the work you put into that basketweave background and the gorgeous color combo you put together. Every detail is perfection!